With 2012 just days away, marketers are wondering what’s awaiting their industries in this rapidly evolving digital age. 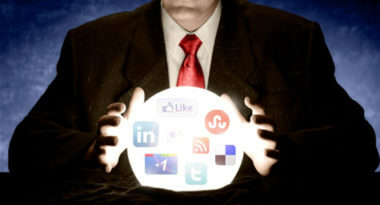 LinkedIn.com predicted that the following 12 trends will gain the greatest attention in the coming year. 1. Increasing Marketing Automation – Since marketing automation has evolved into one of the fastest-growing areas of customer relationship management (CRM), expect it to become the new norm for companies seeking to connect their marketing components. 2. Enhancing Social Personalization – With the popularity of sharing personal recommendations on social networks, more and more websites will strive to conform to customers’ personalized preferences and allow them to connect in creative ways. 3. Considering Customers and Staff as Parts of Marketing Teams – The rise in social networks and subsequent emphasis on customer relationships will lead businesses to turn to customers and employees to help define the brand. 4. Making Mobile Marketing a Priority – The use of mobile devices will increase for certain industries, such as travel, dining, and shopping, as mobile methods become more mainstream. 5. Letting “Likes” Influence Content – Watch for video content providers to begin delivering content based on the “likes” of viewers and their friends to provide a virtual “social television” experience. 6. Emphasizing Discounts – The challenging economy will be a boon to social daily discount sites and companies will strive to leverage location-based technology by offering more local deals. 7. Making Social Media Ads a Must – Social networks will get a larger share of advertising revenue as marketers realize their extensive consumer reach. 8. Using Social to Gain Search Traffic – Social networks will be perceived as major drivers of paid search traffic, as well as a prime recommendation source for organic traffic. 9. Focusing on Social Media ROI – Now that more and more businesses are including social media in their marketing, the quest for tools and technologies that determine true ROI will be a top priority. 10. Investigating Google Antitrust Issue – Google will remain under the microscope as the company deals with legal challenges and deep scrutiny. 11. Increasing Virtual Teams – Today’s online technology has made it possible for teams to collaborate from locations all over the world, which is a trend that will continue to grow because of its efficiency and effectiveness. 12. Watching “Social Commerce” Thrive – Expect social networks and e-commerce to merge into one activity called “social commerce,” which will allow friends to virtually shop together and share their experiences. With such a diverse spectrum of opportunities for 2012, marketers have countless opportunities to leverage today’s technology into success for their clients. If you’re interested in learning about the latest marketing strategies to increase sales and marketing ROI, contact MDG Advertising. MDG Advertising, a full-service Florida advertising agency with offices in Boca Raton and New York, NY, specializes in developing targeted interactive marketing solutions, exceptional creative executions and solid branding and media buying strategies. Our core capabilities include print advertising, branding, logo design, creative, digital marketing, content management strategies, media planning and buying, TV and radio advertising, customer relationship management, loyalty programs, public relations, Web design and development, email marketing, social media marketing and SEO. View MDG Advertising’s creative marketing portfolio.